Transporting your pet requires planning and organisation well in advance of your intended departure date. This information is intended to assist you in planning for a safe and stress free trip. Your pet must be medically fit to travel. 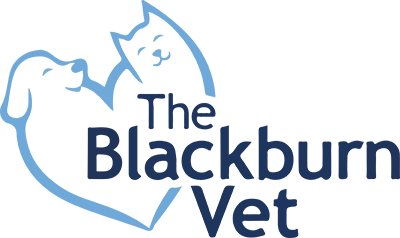 If you are uncertain of our pets health, then a veterinary examination is recommended. At this time you can also discuss with your veterinarian any specific medical issues or threats that may exist in the area that you are travelling in. For example paralysis tick, cane toads, heartworm and so on. Vaccinations must also be current. To travel on an aircraft your pet must be a minimum of 8 weeks old (fully weaned). Puppies or kittens under 12 weeks of age require a statement from your veterinarian declaring that they are fit to travel. Also, it is advisable to compile a list of veterinarians at your destination in the event of an emergency. Make sure that your pet is identifiable with the aid of a microchip and a pet tag displaying a current phone number. Pets that are extremely anxious may require sedation. This can only be supplied by your veterinarian after a complete physical examination. Pets that are not sedated arrive at their destination in much better state than those pets that are sedated according to all the pet travel services. If your pet is over anxious it may be better to consider arranging a house or pet-sitter at home. Preferably somebody who is familiar to them such as a family member or friend. Dogs travelling to Tasmania require treatment with Praziquantel at a dose rate of 5mg/kg body weight within 14 days prior to entering Tasmania, and a statement confirming the treatment must be signed by your vet. For more information, visit the Department of Primary Industries, Parks, Water and Environment of Tasmania. Before departure trim your pet's nails (cats and dogs) to avoid snagging on their travel crate. Do not feed your adult pet for approximately 6-8 hours prior to air travel (i.e. 4-6 hours before leaving home). This will prevent urine or faecal soiling during the journey. Aim to be at the airport 90 minutes prior to departure time or as advised by your airline. Pets are placed in the cargo hold which is pressurized, heated and lit. International travel with pets has additional considerations to those listed so far. Pets are required to complete protocols set by the Australian authorities and those of the destination country. These involve examinations, tests and treatments performed by Australian Quarantine Inspection Service accredited veterinarians. We can recommend accredited veterinarians that can perform these services. As soon as you know you are travelling, contact us for further information. You can also search the requirements for your destination using the database provided by AQIS, see below. To arrange international flights for your pets, we would recommend you use a pet transport service as they have detailed knowledge of the requirements and restrictions. Visit www.agriculture.gov.au/export/live-animals/companion to find out the travel requirements for pets travelling to other countries. For many pet owners the question of moving a cat or dog overseas is often a question of how I, rather than should I. One important thing to note before leaving is if you intend bringing your pet back to Australia you will be required to follow strict quarantine laws outlined by the Australian Quarantine and Inspection Service. On return your pet will be in quarantine for a minimum of 30 days and permits must be organised up to 5 months prior to travel. Visit www.agriculture.gov.au/cats-dogs for more information. Many other countries have similar quarantine laws, so check with the authorities at your destination location as soon as possible.